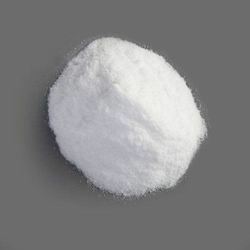 Potassium iodide is an inorganic compound that is used as a source of iodine in thyrotoxic crisis and in the preparation of thyrotoxic patients for thyroidectomy. ( From Dorland, 27th ed) Potassium Iodide is a metal halide composed of potassium and iodide with thyroid protecting and expectorant properties. Established in the year 1997, we, Madhu Chemicals, are a reckoned firm engaged in importing, supplying and trading a superior range of Cosmetic Chemicals, Textile Chemicals, Pharmaceutical Chemicals and Water Treatment Chemicals in India. This range includes Paraformaldehyde, Glutaraldehyde, Bronopol Chemical, Citric Acid Monohydrate, Benzoyl Peroxide, Butyl Carbitol, NN-Dimethylacetamide, NN-Dimethylethanolamine, NN-Dimethylformamide, Phenyl Chloro Formate, Diethanolamine, Methylene Di Chloride, Ammonium Persulphate, Potassium Persulfate, Potassium Mono Persulphate, Sodium Persulfate, 3 Hydroxy Acetophenone, Diethylene Glycol Butyl Ether, Maleic Anhydride, Citric Acid Anhydrous, Ammonium Formate, Polypropylene Glycol - PPG and Sodium Hexa Meta Phosphate. These chemicals are suitably formulated using superior grade ingredients, at our reputed associate?s base.? This range is admired in the industry, owing to its exact composition, precise pH value, purity and longer shelf life. Along with this, we are engaged in offering an unparalleled range of Healthcare products & Disinfectants and Raw materials for Paints & Coatings. These chemicals are acclaimed by the valued patrons for providing protection to plant & machines, roof structures, tanks silos, dye and effluent, hot water storage tanks and allied. Our firm is known as one of the biggest importers of Ammonium Persulfate, Sodium Persulfate and Potassium Persulfate?are formulated by M/s FMC Corporation - USA & United Initiators GmbH Co & KG - Germany Also, Glutaraldehyde from BASF - Europe & other reputed manufacturers from China.